The past few decades have been a flurry of advancement in almost every major aspect of our lives. Technology has streamlined and diversified the way we do movie night (Netflix), the way we get to work (Uber and the self Driving car), the way we make love (Tinder and other dating apps) and the way we give (Kickstarter and crowdfunding) but there’s more to life than 6 am, popcorn and romance. What about the way we remember our loved ones who’ve passed away? It stands to reason that many of us prefer to avoid the touchy subject of death and discussion of life’s nitty-gritty can be a little too ‘gritty’ to reach the coffee or dinner table. Yet, the funeral industry is one that’s been undergoing a technological transformation of its own and it’s something worth thinking (and talking) about if, like us, you have a taste for all things new. While archaeological records put the first known cremation somewhere in the region of 42 000 years ago, its only in the last couple of decades that we’ve seen some innovative remembrance options (as in: ‘things you can do with your loved one’s ashes) come into play. You can now satisfy your desire for interstellar travel or, for example, your marine conservation instinct, even in death. 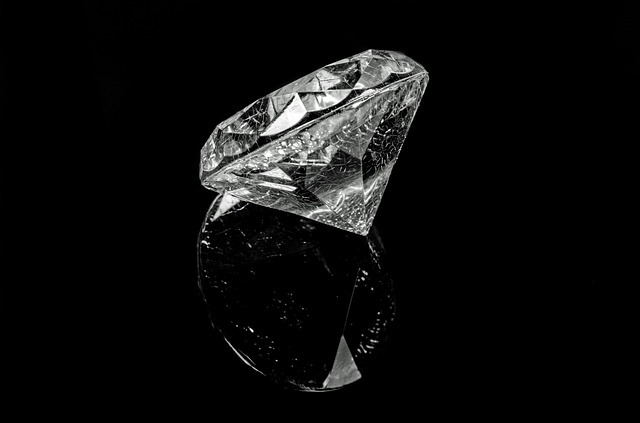 What’s more, since funerary (coral) reefs and memorial space flights may not be your first will and testament choice, the folks over at Heart In Diamond offer a light at the end of the tunnel…or a sparkle, if you will. The advent of diamond synthesizing technology, capable of producing stones that not only rival but often outshine the mined alternative, in luster, size and purity and may even lead to a revolution in quantum computing is set to transform the way we view and plan the remembrance our dearly departed and ourselves. We now have the option of preserving the essence (hair or ash) of a loved person or pet by having the remains incorporated into the diamond making process at the very onset. The result: a sparkling token of remembrance that literally lasts forever and can be cast into a piece of jewelry or other items of your choice, forever to be held, dear. As you may know, colored stones are the rarest amongst mined diamonds and obtaining a stone of, say, the deepest red, might be well out of your budget and out of the scope of your diamond dealer. Not so with cultured and cultured memorial diamonds where ordering a color that you might very seldom find in nature is now a reality. A diamond of your loved ones favorite shade of green, yellow, blue or the deepest red can be custom made, using the token hair or ash, to order. Key elements are simply added to the growth capsule to facilitate the desired coloring and voila, a stone that’s tailored to the tastes of yourself and the loved one in remembrance. I know what you’re thinking, this all sounds beautiful but with lavish ideas come lavish prices. Nothing could be further from the truth. Memorial diamond packages from industry leaders like Heart in Diamond are available, in numerous variations, for costs well into the low thousands. In fact, you can actually have the ashes transformed into diamond and cast into a jewel for between $2000 and $9000 US. That’s well below the budget for many traditional funeral, burial and memorial formats. It’s our shared hope that technologies evolve to afford us sustainable, ethical ways of doing the things that need doing; which not only make our lives easier but bring us joy in the process. This is not always the case, sadly, and purely positive waves are not always the easiest to create. Creating a positive wave within the funeral and remembrance industry is certainly no small feat but the synthetic and specifically the memorial diamond industry is doing it nonetheless, creating talking points and tokens of the dead that are not only full of light and luster but that actually put a smile on our faces for the sheer, beautiful genius of it. You see, dealing with death in the new millennium needn’t be as drab as it was, say, 50 years ago, all funeral homes and tell-tale urns on the mantelpiece. Not only does man-made diamond technology give us the means to remember the departed in a way that’s fresh and affordable, but it’s also providing us with pristine tokens that will still be beautiful when they’re passed down to our dependents, generations and generations from now. Cultured memorial diamonds are the future of remembrance.